"Six Figure Music Licensing In Ads And Commercials" is a 90 minute course taught by the California based musician Cathy Heller and facilitated by Aaron Davison. The course is instantly accessible online and features a 90 minute audio course, multiple samples of Cathy's music, a resource section and more. The course features the most in depth and cutting edge information related specifically to the niche of making money licensing your music in ads and commercials. 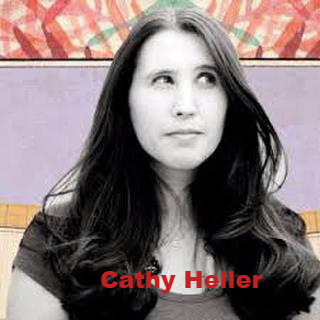 Cathy Heller has become a go-to in licensing music for Ads, film and Tv. Owner of her own licensing agency, Catch the Moon Music. Cathy has licensed her songs hundreds of times to ads, tv and film such as Walmart, McDonald's, Kellogs, Hasbro and shows like Criminal Minds, Switched at Birth, Pretty Little Liars etc. She has been a key speaker on the topic of licensing for years and she's been written up in Variety, Billboard and The LA Weekly. She was asked to speak about this specialty of hers at Berklee College Of Music and now she's teaching private, hands on workshops. During these master classes with Cathy you will learn the A to Z secrets of how to license your songs and make hundreds of thousands a year doing what you love. You will delve into your skill of writing and know what kinds of songs ad agencies and tv/film music supervisors are looking for. You will hear from music supervisors and get actual assignments to write for. 1) 90 minute audio course - stream online or download to listen when and where you'd like. 2) Samples of Cathy's music that has been used in a variety of ads. 3) Supplemental section with related websites and resources.